Have you ever wondered if a working guitar could be 3D printed? That question has now been answered by Jeff Kerr’s beautifuly printed model. Not only does it look great, it sounds very good too, as seen in the video below. The design may seem a little strange if you’re expecting a wooden body, but once the initial shock is overcome, the translucent body of the guitar is quite beautiful. To support the thin shell, there are a number of fractal-inspired supports that don’t conduct light as readily, providing an interesting effect. Everything on the guitar is 3D printed, with the exception of the metal parts like strings and tuning keys. In addition to making this guitar, Jeff actually designed the printer that made it. The printing area is reportedly quite large, which, given the size of the guitar, would be quite helpful! The original Foundry Makerspace source states that this guitar is not for sale, but if you’ve got a big enough printer, the models are available here. Happy printing! Somehow I have this image of an early 90’s hair metal band smashing their guitars onstage, only to melt them down and have them printed into axes for the next show. Maybe I’ll propose this if I ever become a roadie. Woodworking at its finest, at Masterworks we make the impossible reality and the unimaginable come to life. No challenge to big no task to small to reach perfection. North Carolina Welcomes Its Newest Maker Space "The Forge"
On July 22nd the city of Greensboro North Carolina was host for the grand opening of “The Forge” NC’s newest maker space. It sits at the end of a street that in the past had suffered from decades of neglect and urban decay, now home to a micro brewery, upscale restaurants, an outdoor meeting space, and Greensboro’s first community maker space. At the turn of the last century the building was the home to a blacksmith shop and carriage house, a big reason for the choice of name for this new workshop. Local makers lead by Joey Adams the current president of the board of directors at the Forge, property owners, and the Greensboro Partnership Entrepreneur Connection came together and worked for nearly two years to make the Forge a reality. Nancy Vaughan, the Mayor of Greensboro was on hand to help with the ribbon cutting. The Forge joins several other Maker Communities and Maker Spaces around the state of North Carolina including the Alamance Makers Guild in Burlington NC, Splat Space in Durham NC, Fab Locker in Winston Salem NC, The Foothills Community Workshop in Granite Falls NC, The Asheville Makers in Asheville NC, and the Raleigh Maker Space in Raleigh NC. Universities and Libraries around the state are increasingly becoming hosts to Maker Spaces including NC State University, Elon University and UNC Greensboro among others. The folks from the Forge are even helping out UNC Greensboro with their on-campus space. The Forge is split into three areas. The first area is the “Hard Space” a workshop that takes up about two thirds of the 3600 square foot space. Its designed for dirty work like metal working and wood working and is currently host to several serious tools including a Laser Cutter. The second area is the “Soft Space.” Its designed for socializing, collaboration, entertainment, computer work, clean-work like 3D printing, and more. The final area is out back and is sheltered from the elements by a cool inverted tent with metal pylons driven six feet into a large concrete pad. The outdoor space is flexible for many different kinds of activities including “Gorge at the Forge” where local chefs will come, prepare food for members, and teach classes on cooking. Like many maker spaces the Forge is a non profit and currently has no employees. All the tools in the space have been donated by members and local supporters. The Forge is currently looking for donations of other tools and equipment. At the moment the Forge is supported by about 50 active members from Greensboro and the surrounding area. If they can get to their goal of 200 active members by the end of the year then they plan to expand into the adjoining building, the former horse stable for the original blacksmith shop and carriage house so that they can add more metal working and other larger format tools. The Forge has the goal of being a highly collaborative space where hobbyists and entrepreneurs, students, youth, and mentors, engineers and experimenters can all come together and develop ideas that will launch new businesses, create new jobs, and expand the maker movement in Greensboro NC. They hold open houses two days each month on the first and third Thursday at 7:00pm. They also offer tours and Q+A sessions to prospective new members. This exquisite example of non-standard material use really brightened up my day. I love the idea of making stuff from materials that weren’t intended for the final product. In this case, Peter Brown wanted to do some colorful wood working, so he glued a bunch of colored pencils together to get the raw material for making a wooden ring. In the video you can see how he glued the pencils so there would be no gaps, Using a couple nails to hold everything securely. Then, he cut a chunk off of this new stock material for his lathe. This experiment could have completely fallen apart at the next step. Turning something like this on a lathe was a bit of an experiment for him. After that, a lot of hand-sanding and some considerable trial and error gave him the final result. The end product is light weight, and quite eye-catching. I find it vaguely reminiscent of rolled clay beads. If you’d like to keep track of the interesting things that Peter is up to, you can follow him on youtube. I am a 15 year old boy from walnut creek California who works with thing such as model rockets, CNC machines and wood working. William Grant is an avid maker who is passionate about wood working, Arduino and the outdoors. He is a 2nd grader in Milton, Massachusetts and would like to be an engineer when he grows up. Craftsmen, Inventor & Camping enthusiast. Wanted to find the middle ground between pitching a tent & a full-blown R.V. I have a drafting & wood working back-ground. My solution is a cabinet to turn most any Minivan into a ultra-compact R.V. for two. Here&apos;s a selection of some of the Maker Movement leaders that will be presenting at the 9th annual World Maker Faire New York. Check the full schedule of performances, presentations, and workshops for the complete lineup. Adam Savage and the about-to-debut Science Channel Mythbusters Jr cast will join us live on stage at Maker Faire. They will tell you tales of tackling myths similar to those seen in MythBusters, ranging from driving, explosions, chemistry, physics, popular culture and more. Adam Savage + Mythbusters Jr.
Elan is a game designer, developer and creator. He created Exploding Kittens, Bears vs Babies and You’ve Got Crabs in collaboration with cartoonist Matthew Inman. His game Exploding Kittens’ still holds the record as the second most-backed Kickstarter campaign in history. Kevin is The Backyard Scientist! Making videos about all the crazy stuff he does. From exploding arrows to making instruments, molten aluminum to science/chemistry experiments – He does it all, so you don’t have to! Ayah is the founder & CEO of littleBits, She is an engineer, interactive artist and alumna of the MIT Media Lab. She has earned countless awards for her work, including acquisition into the MoMA permanent collection, Fast Company’s Most Creative People in Business, Business Insider’s 26 Most Powerful Women Engineers, and more. William is an engineer, YouTuber, and cat enthusiast. Tanya Fish makes stuff because she can’t help it. Formerly in UK schools teaching maths, physics, and shouting loudly at paperwork, she’s now a crew member at Pimoroni, making learning materials for schools and workshops, and lasering all the things. Cosplayer and costume designer Jackie Craft has taken her passion for costume and prop making and turned it into a career. Her goal is to spread her confidence and enthusiasm for cosplay to as many interested crafters as possible while trying to make their journey a little easier through her love of pattern making. Jimmy DiResta is a designer and master maker known for his ability to fabricate in an impressive array of materials. He’s starred on a number of cable shows and is currently staring as Shop Master on NBC’s new series “Making It,” hosted by Amy Poehler and Nick Offerman. Laura is a clever, funny 33-year-old Content Creator/Maker/YouTuber from Cologne, Germany. While studying design in college, a few concepts came into her mind and her urge to build prototypes grew—so she started building a workshop and improving her skills. A couple years later she rediscovered her interest in filmmaking and combined the two passions and started making videos for Youtube. Bob likes to make stuff whether it’s music, websites, software, furniture, vintage scooters or motorcycles He is the father of four, husband of one and loves his life completely! He left the software industry to make stuff for a living and started “I Like To Make Stuff“. Ted is one of the nation’s leading voices on innovation and education. He was the exec producer of the acclaimed documentary Most Likely to Succeed and co-authored the book Most Likely to Succeed: Preparing Our Kids for the Innovation Era with Tony Wagner. Ilana is the Founder & CEO of Recast City LLC and works with real estate developers, city and other civic leaders to bring small-scale producers into real estate and local economic development projects. Ilana is a frequent author and speaker about the power of maker businesses to unleash local economic energy and bring together people who are passionate about great places. Jody runs 30 for 30 Podcasts, part of ESPN Films. He also developed FiveThirtyEight Podcasts, where he continues to host the FiveThirtyEight elections podcast, beginning with the 2016 campaign. Prior to arriving at ESPN, he was a producer at WNYC radio, and has worked with shows such as On The Media, Marketplace, Freakonomics, and many more. Amy is a speaker, writer, and consultant on the intersection of technology and happiness. A graduate from the Yale School of Management and the co-founder of a positive psychology consulting firm called GoodThink. Evan & Katelyn are husband & wife makers/frequent high fivers who want to make ALL THE THINGS! Their YouTube channel covers a range of projects: woodworking, digital fabrication, home improvement, & more. Their goal is to get more people excited about making & show what’s possible when you try new things. Becky is a content creator at Instructables. She has authored hundreds of tutorials about everything from wearable electronics to knitting. She’s the former senior video producer for MAKE Magazine and director of wearable electronics at Adafruit. Sarah Boisvert has over 30 years experience in the design, development and commercialization of high-tech products utilizing digital fabrication including laser machining and 3D printing. After selling Potomac Photonics, Sarah founded Fab Lab Hub, part of the international Fab Lab Network. Sophi is equal parts electronics engineer and tech-artist. She designs electronics for both creative projects and pure science applications. Formerly a special FX designer for movies, she eventually got a degree in Electrical Engineering. Sculptor and wood carver well known for his Bobby Duke Arts YouTube channel where he showcases his creations or presents how to tutorials. His content earned him 1.7 million subscribers. Darrell Maloney better known as The Broken Nerd. I am a maker/hobbyist that is passionate about 3D printing and all things related to prop making. Relatively new to the 3D printing community, I started TheBrokenNerd YouTube channel as way to share my passion for 3D modeling and making cool props. Welcome Makers! This is your resource center to guide you through the many details of exhibiting at Maker Faire. Are you interested in my idea? How do I find my Project Number? Is there internet at Maker Faire? Any updates on my application? How do I change the name on a Maker Entry Pass? Any advice for first timers? Can I use an e-ticket on my phone? We update the toolkit frequently. If you can’t find the information you need, please check back. The Maker Toolkit is designed to help you navigate the logistics of Maker Faire, and most importantly, to help make your involvement in Maker Faire a positive, memorable event. Together we can make Maker Faire a truly unique, educational, safe, and extraordinary experience for all by adhering to the Rules and Regulations outlined in this Toolkit. Leading up to the show, you will receive a Maker Newsletters, which are designed to keep you informed of key dates and information. You will also receive a Confirmation Letter outlining the details of your exhibit. Prior to arriving onsite, we expect that you have read this Maker Toolkit, that you will abide by the rules and regulations, and that we have agreed on the specifics of your exhibit as detailed in the Confirmation Letter. *Applications submitted in the 1st Round are reviewed first. Applications submitted before March 4th will be notified before the end of March. Late Entries: Applications received after the deadline will be reviewed based on available space. Maker Faire is not designed like any standard trade show or conference — it is a fun, interactive maze of demonstrations, exhibits, workshops, and displays. We have tried to keep it environmentally friendly and simple in design. Imagine the historical state fairs where everyone arrives with their wares and sets up their exhibit! We have different kinds of exhibit areas to accommodate the diversity of projects, and we encourage Makers to create their own look and feel. Outdoor Exhibit Area: Your exhibit space will be located on the terrace at McCormick Place and will vary in size depending on your requirements. We have a variety of outdoor spaces: grassy areas and on pavement. All of these spaces will have access to power if you have advised us in advance that you need it. If you have an outdoor exhibit, we recommend that you bring a small tent or umbrella if you are sensitive to the sun. Indoor Exhibit Area: Most Maker exhibits will be located inside. The spaces are subdivided into tabletop (~8×5), 10×10 or 10×20 areas unless you have stipulated that you need a larger area and/or you will curate your space with an association or a group of Makers. Maker Exhibit: Individuals, groups, schools and organizations that would like to demonstrate what they make and/or how it works in an all-weekend exhibit space; interactive exhibits are encouraged. For Maker Groups, please have one point person to coordinate your efforts. For details about the types of exhibits accepted for Maker Faire, see the Call for Makers page. Maker Faire provides Makers that are participating purely by sharing their project and inspiring others to make with exhibit space and required tables, chairs, entry passes, etc., at no cost to the Maker. Makers with commercial interests or marketing intentions are asked to pay an exhibit fee. All Makers who plan to sell must comply with the sales tax laws of the State of Illinois. To this end, we are required to notify you that form IDOR‐6‐SETR must be completed and mailed, faxed or submitted online. It will be your responsibility to determine whether or not you are required to apply for a tax certificate and collect sales tax. You can do this by obtaining and reading the publication for retailers here. Hours: 8:30 AM – 5:00 PM on weekdays only. Please note the application will take 1‐2 days to process. Questions regarding the completion of form IDOR‐6‐SETR can also be resolved by contacting the IL State Tax Department at 847.294.4475. Tax Certificates MUST be displayed in your booth during Show hours. Please contact the IL State Tax Department if you have questions regarding the rate at which tax must be computed, charged and collected. It is important that you call the State of Illinois after the event closes and close your account, otherwise you may be expected to make a monthly tax payment. The number to call is 217.785.3707. Submit a Certificate of Insurance. Display a ingredient list to alert attendees with any allergies and/or food sensitivities. Maker Groups: Makers that exhibit together in one space that are organized by one Curator, including schools/educational groups. To ease the application process and onsite management, please email ChicagoMakers@makerfaire.com for Group Curator details. Maker with Sponsor Subsidy: From time to time, some Makers may receive financial or material support from a company. This support is welcomed; however, there are rules around this level of support. Before you ask to receive sponsorship funds or materials for your Maker exhibit, please inform us by using “Sponsor Subsidy” in your subject line to chicagomakers@makerfaire.com as full sponsor disclosure is required. If you, your club and/or exhibit obtain approval from the Maker Faire Team and sponsor support; you will be able to offer one small sponsor appreciation sign with their logo, 4 inch x 6 inch maximum size, at your exhibit. You will not be able to offer any large brand recognition at Maker Faire or give away sponsor products or flyers. If your sponsor would like to upgrade their sponsorship and obtain brand recognition at Maker Faire, please contact us and we will be happy to work with them to accommodate their support in the Maker Movement. Performance: Musicians and entertainers who would like to perform at Maker Faire. Performances are usually on stage and scheduled for approximately 50 minutes. Set lengths vary. Some performances in the past have been roaming and unscheduled, which is welcomed. Please mention scheduling details in your application. If you need a space, away from a stage to perform many times during the weekend, fill out the Maker Exhibit application. If you plan to have a scheduled performance once or twice during the faire, fill out the Performer application. Presentation: Individuals and groups who would like to talk about an idea or project of interest to the Maker community, OR makers who are interested in demonstrating what they make and how it works in a stage setting. Presentations are typically 10, 20, or 45 minutes, with some time for Q&A. These are guidelines only, your exhibit may not fit exactly into one option below, and it may fit more than one. Basic: A tabletop, small area, or 10×10 space to demonstrate what you make. Activity Area: A hands-on, fun, interactive area that encourages audience participation to learn how to make or do something. Demonstration Workshop: During a short show-and-tell session, Makers demo and teach particular skills, techniques, or processes, explaining materials and tools, stepping through a building process, sharing their knowledge, and interacting with the audience. Sessions are less than 30 minutes and may be repeated. Demonstrations will be done in your exhibit area. Roaming Exhibits: If you have an exhibit that will roam during the show, please let us know if you require a location for your use as a home base for non-roaming activities. If your roaming exhibit needs access to an electrical outlet, ask us about the charging station locations. Attraction: A wonderful, unusual thing that doesn’t fit in to any of the categories above. We will provide a table and chairs if requested in your application. Please plan to bring anything else that you would like to have, such as extension cords/power strips and any hardware or supplies that will help you display your project. We trust that you will supply any equipment or supplies you need to make your project functional. In some cases, the Maker Faire Production Team will assist with some elements of your setup as long as it has been agreed upon in advance. Please feel free to make signs for your exhibit that help the attendees understand what you are making! The Maker Admin Tool is a great way to manage your Exhibit Details. You can now view and edit all the answers you have submitted in your application. You can make changes to your exhibit, including electrical and tables/chairs. Resource changes (table, chairs, electrical) must be made by April 5th. With the Maker Admin Tool you can change the exhibit description, photo, or bio sections that will appear on your Maker web page. Signage: We will create a laminated sign for your exhibit and a Maker webpage on our website. Each 11×17 inch sign and webpage includes an image, project description, and short bio based on the project proposal you submitted. This information and a link to your Maker webpage will also appear on our mobile app. Internet Connectivity: Wireless internet will be available within the event for maker use. Hard wire connections are available for purchase through the venue a prevailing rates. Tables & Chairs: We will provide a table and two chairs, unless otherwise requested in your application. Standard tables are 8ft x 30in folding banquet tables. We do not provide a cover. Water: There will be a sink and hose available for filling buckets and other minimal water needs. If your exhibit has water needs beyond the use of the sink or hose, please fill out the Special Request Form. Prior to the event, you will receive a confirmation letter listing the equipment we will provide for you. If you need additional items, please use the Maker Admin Tool. Requesting additional tables onsite is based on availability and will cost $20.00 per table. Additional chairs are $15, but also based on availability. Electrical: If you provided details of your power requirements, we will make certain you have power available at your exhibit area. Please bring your own extension cords, surge protectors and/or power strips for power distribution at your exhibit. Please ensure that any equipment you bring is in good condition and UL certified. On-site power requests cannot be guaranteed. Any excessive power will require approval. Understanding your power usage is important: We need to ensure you have what you need and you will not create a problem for your fellow Makers by tripping the circuit breaker. Most consumer electronic devices have a small label that will tell you how many watts or amps they draw and at what voltage. Examples: A 500-watt light bulb requires approximately a 4.2A (A=amps) on a 120V (normal US) circuit: 500/120= 4.2. Here’s a list of average amperage for common Maker Faire items: Laptop ~2A, Sewing Machine ~0.6A, Lights ~0.3A-2A, 3D Printer ~10-20A, Arduino ~0.1A. Please check your equipment, and don’t guess; Power is expensive! We want to provide enough, but not too much. Thank you in advance. *We strongly recommend that you setup on Friday, April 21. Makers who need to work longer hours than listed must make arrangements with the Production Team. Email chicagomakers@makerfaire.com. Major construction must be completed on Friday, and all final touchups must be completed by 8:30 am on Saturday, April 22. For safety purposes, we request that children under the age of 15 not be on the Maker Faire floor during setup or teardown hours. Maker Faire starts promptly at 10:00 am on Saturday and Sunday. Please keep traffic in mind and plan to arrive with enough time to park or walk from public transportation and to prep your exhibit onsite. 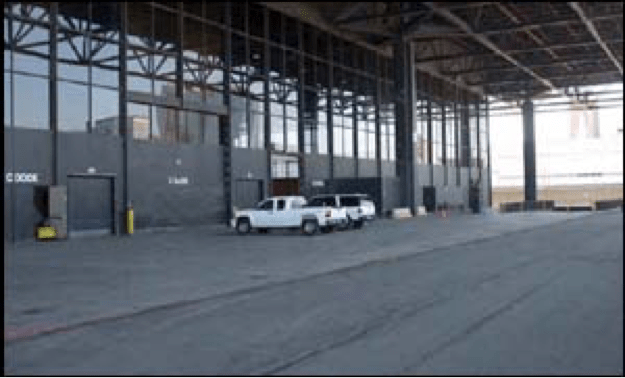 Marshalling Yard is: 2900 South Moe Drive, Chicago, IL 60616. (see Fig. 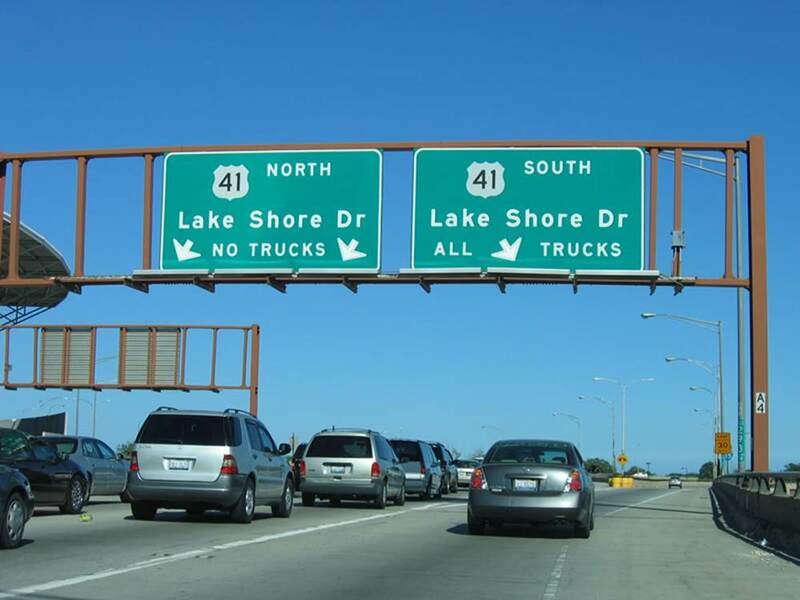 1 & 2) Contact the Truck Marshalling directly at 312-808-3100 and for recorded directions hotline call 312-808-3161. 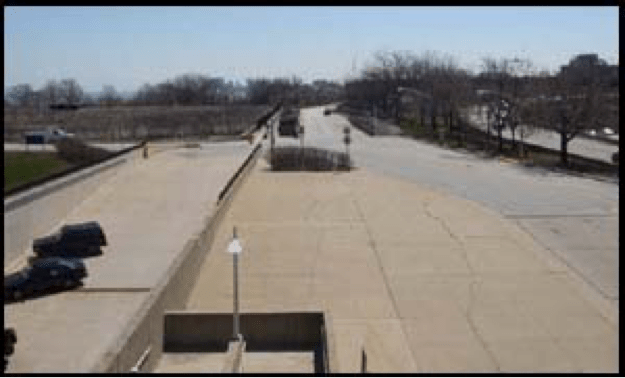 Once you have your window card from the Marshalling Yard turn around and go back to 31st Street, turn left and cross over Lake Shore Drive, turn left onto Fort Dearborn Drive to begin POV loading dock queuing. On Site Access: No vehicles will be allowed onto the lot after 9:00 am on Saturday and Sunday. If the vehicle is part of your exhibit, it must be parked in its location by 12:15 pm on Friday and 9:15 am on Saturday and Sunday and cannot be driven at any time during the event unless approved by Maker Faire staff. Carts/Dollies: Carts and dollies will not be provided onsite, you must bring your own. Forklift: If it is scheduled in advance, we can provide forklift equipment and an operator to assist with your load-in/load-out. So we may coordinate usage, complete the Special Request Form. Vehicles That Are Exhibits: If your vehicle is part of your exhibit (art car, energy demo, etc.) complete the Special Request Form. Your exhibit vehicle is required to remain on the grounds for the entire duration of Maker Faire, including arriving before 9:00am on Saturday and not moving your vehicle until after the Security Team announces that it is safe, approximately 6:00 pm Sunday. Complicated Exhibits: Do you require additional setup time? Makers who need time outside the scheduled hours must make arrangements with the Maker Faire Production Team. Contact ChicagoMakers@makerfaire.com. To streamline the check-in process, all Makers and assistants need to obtain their Entry Passes in advance. Refer to the email you receive 5-7 business days after your Acceptance Letter for instructions on how to obtain passes and tickets. When you arrive onsite and check-in you will receive a map indicating your booth location. Your Project Number can be found in the subject line of your Acceptance Letter. Your Project Number is a 5-digit number that identifies which exhibit you are part of and helps us reference the details of your exhibit quickly. You must know your Project Number to check in. It’s important to ensure that all of your assistants know your Project Number, so that they may check in and find your location. Please pass it along. Obtain Maker Entry Passes and tickets in advance through ShowClix by following the instructions in your email. During setup hours: Show your Maker Entry Pass for scanning. If you arrive during Show Hours, please present your Maker Entry Pass or ticket at the main gates. Go directly to your Check In Station located inside the hall. You will be checked in, given your Welcome Packet, and directed to your exact location. Area Managers: Each area of Maker Faire will have a designated Area Manager and Check In Station where you will check in on your arrival day. Your Area Manager will be available to answer any questions and assist you with your setup. Check In will move to Ballroom E354 during show hours. Breaks: Each Maker exhibit should be staffed at all times by you or a colleague. If you do not have an assistant and you need a short break, please notify the Area Manager and we will do our best to assist you in finding someone to watch your exhibit. If you need to be away from your exhibit for an extended period of time, please notify the Area Manager. Electrical: During the event, if you have a problem with your power, please report it immediately to your Area Manager. Refreshment: Makers are permitted to bring food and beverage items into the facility for personal consumption only. Any food and beverage needed to serve attendees must be purchased through Savor. Vendors, promoters, Makers, or guests are not permitted to sell or give away food or beverage items without completing the appropriate form. Alcohol is not permitted to brought onto the property. Contracted Maker Faire concessionaires have the exclusive right to provide all food and beverages, including the sale of alcohol. Only approved Commercial Food Makers can offer samples under 2oz or sell pre- packaged items intended for consumption off-site. ATMs: ATMs offer audio assistance for the visually impaired and meet height and reach requirements for the physically impaired. All cash machines accept American Express, VISA, Master Card, Cirrus and Plus. Business Center: A FedEx Office is located within McCormick place. Please see the flyer for more information. 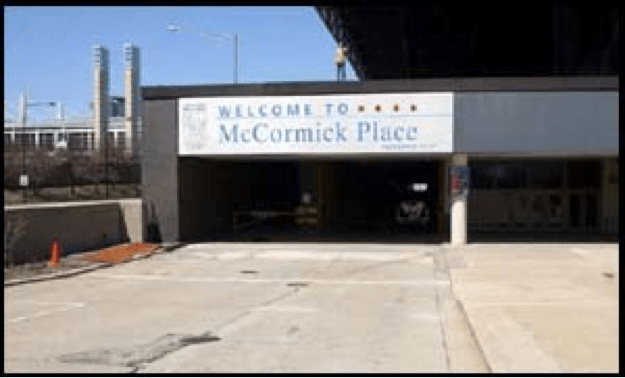 Accessibility: McCormick Place has sidewalk ramps, automatic doors at all street levels, restrooms and elevators accessible for persons with mobility impairments. Payphones are accessible and are equipped with volume and TTY capability for those with speech and hearing disabilities. 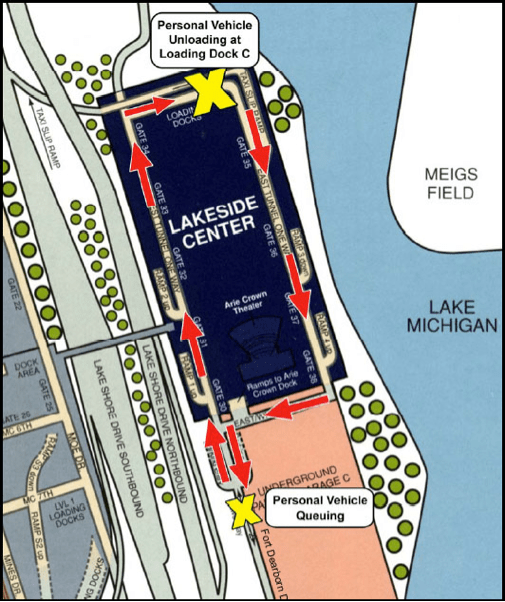 Accessible parking is available in Lot A (located on Martin Luther King Drive), Lot C (located underground in Lakeside Center) and the Hyatt Regency McCormick Place parking garage. For wheelchairs, mobility scooters, power chairs and oxygen equipment rentals, contact our preferred service partner, Scootaround Mobility Solutions at 888-441-7575 or visit www.scootaround.com/rentals/m/mccormickplace. Elevators + Escalators: All large and heavy equipment should be transported using the freight elevator. No equipment may be transported on escalators. This includes items such as easels, chairs, tables, wheelchairs, baby carriages and other similar devices. Normally, escalators are not operated on move‐in and move‐out periods. Passenger elevators are not to be used for transporting heavy freight and equipment. Smoking: McCormick Place provides a smoke-free environment. Outdoor locations have been designated to service visitors affected by the City Ordinance. Prop weapons will be allowed providing they are composed of cardboard, foam, wood or other light materials. Prop firearms are allowed only if they cannot be mistaken for real weapons. The barrels of all prop firearms must be covered with brightly-colored caps. Prop bows will be allowed providing all arrows have soft tips. Metal-bladed weapons can be bought and sold provided they are not sharpened, remain in their sheathes while on display and are placed in sealed boxes immediately upon purchase. Replica firearms can be bought and sold only if they cannot be mistaken for real weapons. The barrels of all replica firearms must be covered with brightly-colored caps. Child Safety: Maker Faire is a family event. We appreciate your assistance in keeping Maker Faire a safe environment for the children attending the event. For safety purposes, we request that children under the age of 15 not be on the Maker Faire floor during setup or teardown hours. During Maker Faire, if your exhibit has hazardous materials or has elements of concern, please take the time to inform parents and children of safe practices for your exhibit. Pets: For the safety and well being of our four-legged friends, please leave your pets at home. There are loud noises, many moveable parts, fire elements, and large crowds, all of which do not create a safe environment for pets. Janitorial Services: The cleaning crew will complete a clean sweep of the aisles each evening after the show closes. Please consolidate garbage into larger bags when possible. We recycle. See the “Recycle” section below for details. Please note that the crew will not enter your exhibit area to clean on Friday or Saturday night. Do not leave items in the aisles, or they may be mistaken for trash. If you have a project that looks like it might be trash or recycling, please mark it as such in the evenings onsite or the sustainability/cleanup crew may dispose of it. Security: Limited overnight security is provided to prevent unwanted entry. If it is valuable, take it with you! You can find the security office in room N226 in the North section of the building. Emergency: In the event of a medical emergency, notify your Area Manager, security personnel, or anyone with a radio or walkie-talkie. They will contact the on-site EMT personnel. If someone dials 911 from their cell phone, the above procedure still needs to be followed for the best possible care, as this will expedite the response of medical assistance. Please report all incidents to the Security Office located in Room N226. First Aid Facilities: McCormick Place provides wheelchair-accessible first aid stations in each building. They are operated and staffed by licensed medical professionals. Stations are fully-equipped and include automated external defibrillators (AEDs) to respond to life-threatening occurrences. 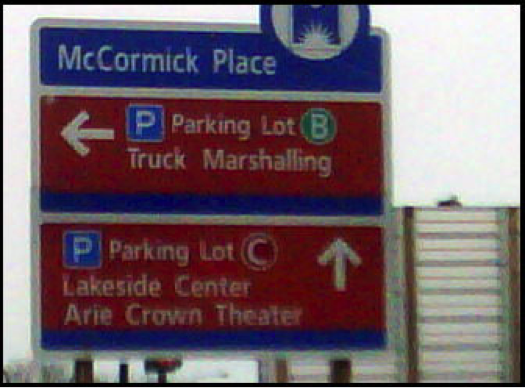 The First Aid area is located in Lakeside on Level 1 nearby the Arie Crown Theater Dressing Room Entrance. First Aid will be available during all SET UP, SHOW, and LOAD OUT hours. If you hear a fire alarm, see a fire or smell smoke, immediately call MPEA Security at the appropriate number above, or by two-way radio. They will notify the Chicago Fire Department if needed. If you call “9-1-1”, be sure to call MPEA Security immediately thereafter. Both McCormick Place and Navy Pier have certified fire personnel on-duty who can quickly handle this situation. If an evacuation is needed, the Chicago Fire Department and/or MPEA Security will make an announcement over the building’s P.A. system. They have specific plans, depending on the situation, to inform and direct all building occupants in a calm and clear manner. If it is deemed necessary to evacuate the building, specific instructions will be given by MPEA Management. However, if a “clear and present danger” exists, begin evacuating those in danger to a safer location…as you report the emergency to MPEA Security. Once outside the building, DO NOT RE-ENTER under any circumstances until you are told it is safe to do so. If you believe someone is still in the building, immediately notify the Fire Department or your Supervisor. Drones: NO DRONE FLYING at Maker Faire on the grounds with the exception of the officially sanctioned, monitored and netted Drone event areas. State and local laws prohibit the use of drones at venues and events like Maker Faire unless they have been pre-approved. Safety is our number one concern. Recycling stations will be located throughout the event and facility, and we ask that you do not separate the bins from each other. You are responsible for cleaning up your exhibit area and ensuring it is recycled or trashed. Please do not leave any garbage in your exhibit space. Ask a Maker Faire crewmember for assistance if you have a large load that needs to be carried by a vehicle or if you require bins at your exhibit. They can also assist if you have questions about how you can best recycle items from your booth. If you have “free stuff” for giveaways, please identify it accordingly for those who can reuse it! We encourage you to use materials other than styrofoam or packing peanuts for packaging. Let’s all work together to reduce Maker Faire’s environmental footprint by thinking about the products we use and how to best dispose of them. The month of April is characterized by rapidly rising daily high temperatures, with daily highs increasing from 53°F to 64°F over the course of the month, exceeding 77°F or dropping below 39°F only one day in ten. In the case of rain, the show will go on, so please be prepared! You are responsible for providing any supplies needed in the event of rain. We recommend bringing any of the following: Tarps or plastic covering and containers to protect product/equipment in case of rain; packing materials/tape, shipping labels (FedEx, etc. ), zip ties, scissors, extra boxes, cleaning supplies and paper towels, extension cords and surge protectors, hand sanitizer, a reusable water bottle, comfortable shoes, a jacket, light rain gear, hat and sunscreen, device chargers. Teardown: Teardown begins after 5:00 pm on Sunday. All exhibits must be intact and open to the public until that time. Exhibits must be removed by 9:00 pm on Sunday night. If you know in advance that your exhibit requires more strike time, storage, or is queued for shipping off the grounds, fill out the Special Request Form. Vehicle Access: Vehicles will not be allowed to line up outside the gates until after 5:00 pm on Sunday and will not be able to enter until the public has vacated the grounds, and the McCormick Place determines it is safe to do so. For exhibits who require Monday load-out, Monday hours: 8:00 am – 12:00 pm. If you will need heavy equipment assistance on Sunday, the hours are limited, must be completed before 9:00 pm, and must be scheduled in advance. Fill out the Special Request Form, and provide details about your teardown needs. Return Shipments: Please see the Maker Shipping section. Disposal: Recycling and general trash receptacles will be available. If you require extra trash bins at your exhibit, let us know. We appreciate your exhibit area being cleared completely. You are responsible for correctly recycling and removing all waste from your exhibit space. Problem: An error message: There was a problem with your log in. There is a user with the same email. Problem: I am not able to login and I do not receive an email when I hit the Reset Password button. Solution: Please use the Sign Up button rather than the Login or Reset Password buttons. We have updated our system as of late 2015 and we do not currently have a login associated with this email address. How do I find my Project Number? Why do I need to know it? Why do I need to tell everyone working at my exhibit? How do I make changes to my exhibit – electrical, tables/chairs, space size, etc.? How do I figure out how much electrical power I will need onsite? How do I change my exhibit’s description, photo, or bio on the Maker Faire website? What do I do if my exhibit needs water? How do I get forklift assistance? How do I know if I need to fill out a Safety Plan? What is the difference between a General Safety Plan and a Fire Safety Plan? I want to sell what I make at Maker Faire, how do I do that? Can I visit the site ahead of time to secure a location? Will there be Internet at Maker Faire, how can I access it? How can I help promote Maker Faire? What happens if there’s bad weather during the event? Will I have any assistance onsite? I haven’t heard anything from Maker Faire. Am I missing any messages? As guests at McCormick Place and the local area, we must abide by all regulations of a public facility. These are designated primarily to ensure public safety, and we thank you for your cooperation in complying with these rules and regulations. Domestic animals: If you plan to use a domestic animal (i.e., cat or dog) in your exhibit, be sure to contact your Show Manager for approval. An insurance disclaimer will need to be completed and a permit will need to be obtained through the City of Chicago. A $275 fee is required when applying for the permit. Permit applications are due March 21. The necessary forms and information are available by contacting chicagomakers@makerfaire.com. Non‐domestic, endangered or exotic animals: The use of these animals must be approved by your Show Manager. In addition to the disclaimer form, you must also contact our Loss Prevention Manager at (312) 791‐7113. Radio‐operated blimps and similar devices are permitted on the event floor with pre‐approval in writing from Show Management and with a certificate of accident insurance. To prevent escape to the ceiling, helium‐filled balloons and similar objects must be secured. If they do escape to the ceiling, you may be charged removal fees. Helium‐filled balloons or any other helium‐filled object may not be distributed. Mylar balloons are prohibited due to their effect on the fire detection systems. Exhibitors are not permitted to use a drone within the Complex for proprietary and safety reasons unless prior approval has been obtained. The City of Chicago does not allow small aircrafts to land within city limits, unless in designated locations. In accordance with the City of Chicago Fire Department and the City of Chicago, smoking is not permitted in McCormick Place. Smoking stations are located outside of the facility. If a meeting room has been assigned to your company for exhibit or meeting use, please contact the McCormick Place Event Management Department for specific meeting room guidelines. Storage of combustible materials in meeting rooms, ballrooms or service corridors is prohibited. Crates, cartons, pallets, pallet jacks, forklifts, etc., are not allowed in meeting rooms. All freight must be uncrated or removed from pallets prior to entering the room. Movement of freight should be done using flat trucks dedicated to carpet use. If other flat trucks or dollies are used, appropriate floor protection (Visqueen or Masonite) must be installed. Storage of containers, skids, etc. is prohibited inside the facility. These items must be moved to the appropriate crate storage area. Please contact your Contractor or the official event service contractor to assist you. Removal of such items is a Fire Safety regulation and subject to inspection by the Fire Marshal. Hanging items are defined as any materials, including but not limited to, signs and machinery, which are hung from or attached to ceilings, exhibit structures or building supports. All requests for hanging items must be reviewed and approved by Show Management. The responsibility to hang an item is shared by your general service contractor and the utility provider. NOTE: Items weighing 500 lbs. or more: Drawings must be reviewed, signed and stamped by a licensed structural engineer to CERTIFY STRUCTURAL INTEGRITY AND SAFTEY. These rules and regulations provide absolute limits which cannot be exceeded under any circumstances or conditions. Fire Retardant regulations also apply to hanging items. Refer questions regarding fire retardancy to the Fire Safety Manager at (312) 791‐6079. No hanging items are to be hung from any electrical fixtures, raceways, water, gas, air, fire protection, communications lines, piping, supports or hangers. All electrical and neon items must conform to City of Chicago Electrical Codes. The use of MIS, Octonorm or similar components systems for hanging signs is not permitted in our facility. Any vehicle or other apparatus that has a fuel tank and is part of a display, is required to be equipped with a locking (or taped) gas cap and can contain no more than 1/8 tank of fuel. Once the vehicle has been positioned, it cannot be moved until move-out begins, without prior approval by the Fire Safety Manager or Designee. Battery cables must be disconnected once the vehicle is positioned. The engine cannot be operated during show hours. Refueling must be done off property. Americans with Disabilities Act: All exhibits must comply with the ADA. For information on compliance, contact the McCormick Place Fire Safety Manager. Hazardous Materials Management: Neither McCormick Place Housekeeping Department nor your official service contractor manages hazardous material removal. However, your Event Manager can provide contractor names specializing in this service. Exhibitors are responsible to make their own arrangements. Insurance: It is your responsibility to ensure the safety and security of your exhibit and its components, visitors within your exhibit area, and your personnel. 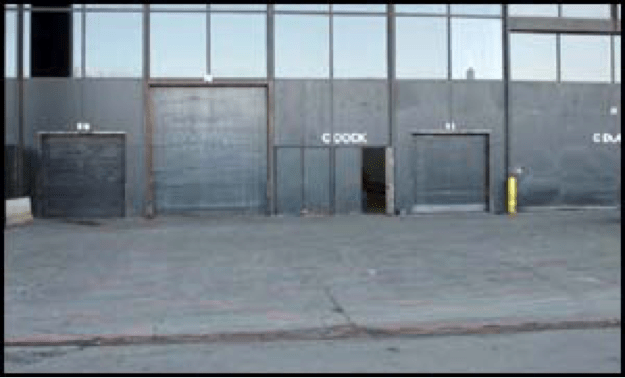 Reasonable precautions will be taken to protect your property, but Maker Media Inc., Maker Faire, and the McCormick Place assume no responsibility for any losses due to fire, theft, accident, or other causes. To help us produce a fun and safe environment for Makers and the many attendees, the members of our Safety Team will assist in monitoring our safety program throughout Maker Faire. All individuals who would like to participate in any interactive activity at Maker Faire are asked to read and sign a waiver. If your exhibit has an activity, please make certain that each attendee is wearing an Activity Wristband prior to joining the activity. Please direct attendees to the nearest Activity Wristband Station or Information Booth to obtain a wristband. Fire Prevention reserves the right to make any final decisions regarding the outlined requirements, according to Section 2-36-220 of the Municipal Code of Chicago on Fire Prevention. Prior to the show opening and at any time during the event, the Fire Marshal may inspect the booths to ensure these requirements are met. If they are not, adjustments can be costly, and if a booth imposes a significant fire hazard, it will be prohibited from exhibiting. The Fire Safety Manager at 312-791-6079 or dcozzi@mccormickplace.com can answer any questions or provide a set of fire code information. Boxed or loose product, materials or literature. Fiber cases used to ship pop-up displays. Personal items such as luggage, purses, briefcases or coats. The amount of product, materials or literature that may be staged within a booth space must not exceed a one-day supply. Items may be placed either in a display case, on a counter, on a shelving unit, in a closet, on a table, under a table or stacked neatly within the booth space. Items that are placed under a table must not protrude outside the table dimensions. Items that are stacked must not create a tripping hazard or hamper easy movement within the booth space. Items may not be placed on or within six inches of floor ports, electrical wiring or cabling. Pallets, empty crates, cartons and boxes may not be stored in the booth space. Staging will not be allowed behind the back wall of the booth and behind the drape within the booth. Backdrops, tents, canopies, dust and table covers, drapes and similar fabrics: These fabrics can often be made fire retardant by a dry cleaner that can issue a certificate of fire retardancy. Suppliers and/or display manufacturers can also provide a certificate included with the materials. Corrugated cardboard/display boxes: These materials can best be made fire retardant at a factory. Wood and wood by-products: If wood materials are not sufficiently fire retardant, a certified fire retardant specialist using pressure impregnation or similar impregnation method must treat them. Polyurethane foam, plastic and similar products. Prior notification and review by McCormick Place, Fire Safety Manager, the Fire Prevention Bureau, Fire Marshal, Authority having jurisdiction for each and every display. Must be contained inside a non-combustible enclosure that totally encapsulates the flame providing a measure of safety to the public. Must be positioned on a non-combustible surface with a 24-inch clearance of the flame device from any combustibles and booth back wall. Must have a mechanism available to quickly and safely extinguish the flame. Must have at least one multipurpose fire extinguisher rated minimum 2 – A :10- B:C strategically located with the booth. Booth personnel should be familiar with the operation of the fire extinguisher. Booth personnel must be in attendance whenever the device is in use. Maximum one-day supply of the replacement fuel allowed in booth. Device must be allowed to cool before refueling. Flame must be extinguished ½ hour prior to closing. Indoor Pyrotechnics have special permitting procedures through the City of Chicago Fire Prevention Bureau. Contact the Fire Safety Manager. Compressed gas or compressed liquid cylinders if applicable used in the booth must be securely anchored to prevent toppling. Gasoline, kerosene or other flammable, toxic liquid, solid or gas. A limited supply of these fuels may be stored in the demonstration device, but cannot be stored overnight. All fuel transfers must use safety cans. When displaying a flammable or combustible labeled product, the display container shall be empty. Up to two aerosol cans may be used for demonstration purposes only. 20 Approval requests must be sent in 60 days before move-in of the event. The request must state how the demonstration will avoid hazards to people or nearby objects. Plexiglas or similar protection is required whenever sparking may occur. Fire extinguishers will also be required. Any chemical, substance or material deemed hazardous by O.S.H.A. requires pre-approval and must be accompanied with the appropriate M.S D S. McCormick Place Fire Safety Office will need copies of the M.S.D.S. before the materials arrive. Prohibited Materials: The following items are fire-hazardous and prohibited in McCormick Place: • All flammable compressed gases, such as propane and butane • Explosives and live ammunition • Untreated Christmas trees, cut evergreens or similar trees • Fireplace logs and similar materials • Charcoal • Untreated mulch, Hay, Straw, Bamboo and Spanish moss Cooking and Heat-Generating Devices If cooking or heating appliances will be used, they must be powered electrically or by natural gas. Stoves and heaters for booth usage must be UL listed/approved and also be adequately ventilated. Nothing combustible may be placed near any heat-producing appliance. A UL listed/approved, 2 – A :10 – B : C ABC-type fire extinguisher is required in such exhibits. Exhibits or Product Displays in Meeting Rooms: Storage of combustible materials in meeting rooms, ballrooms or service corridors is prohibited. Fire Hose Cabinets, Pull Stations, Aisles and Exits: Each of these fire safety supports must be visible and accessible at all times. Adjustments to space and equipment may be required. Chairs, tables and other display equipment must be clear of all aisles, corridors, stairways and other exit areas. Welcome Makers! This is your resource center to guide you through the many details of exhibiting at Maker Faire. We update the toolkit frequently. If you can’t find the information you need, please check back. Significant updates will be made in mid March. The Maker Toolkit is designed to help you navigate the logistics of Maker Faire, and most importantly, to help make your involvement in Maker Faire a positive, memorable event. Together we can make Maker Faire a truly unique, educational, safe, and extraordinary experience for all by adhering to the rules and regulations outlined in this manual. Leading up to the show, you will receive Maker Newsletters, which are designed to keep you informed of key dates and information. You will also receive a Confirmation Letter outlining the details of your exhibit. Prior to arriving onsite, we expect that you have read this Maker Toolkit, that you will abide by the Rules and Regulations, and that we have agreed on the specifics of your exhibit as detailed in the Confirmation Letter. Friday at Maker Faire is back! Special Groups – a way to bring your team to Maker Faire to experience it before the crowds. Outdoor Exhibit Area: Your exhibit space will be located on the grounds of the Event Center and will vary in size depending on your requirements. We have a variety of outdoor spaces: grassy areas and on pavement. All of these spaces will have access to power if you have advised us in advance that you need it. Some are under a tent or have shade, while others are not. If you have an outdoor exhibit, we recommend that you bring a small tent or umbrella if you are sensitive to the sun. You will find out in advance if we place you under a large tent with other Makers. Indoor Exhibit Area: Some Maker exhibits will be located inside. The spaces are subdivided into tabletop (~10×5), 10×10 or 10×20 areas unless you have stipulated that you need a larger area and/or you will curate your space with an association or a group of Makers. Booth footprint cannot exceed size agreed upon in your confirmation email and exhibit materials cannot reside outside of the booth space or in aisles. Pop up tents are not allowed inside the buildings and must be securely weighted with sandbags at each leg if outside. Maker Faire provides Makers that are participating purely by sharing their project and inspiring others to make with exhibit space and required tables, chairs, power, entry passes, etc., at no cost to the Maker. Makers with commercial interests or marketing intentions are asked to pay an exhibit fee. Makers that exhibit together in one space that are organized by one Curator. To ease the application and onsite management, please see the following requirements for Curators. Create the main exhibit application for the group and distribute the Project ID. Ensure that projects within the group submit individual project applications with the main Project ID in the Placement Request field. Send a list of all of the exhibits within your group to makers@makerfaire.com by March 24th. Design the exhibit layout and send details to makers@makerfaire.com by March 31st. Create the main exhibit application for the group. Design an exhibit layout and send details to makers@makerfaire.com by March 31st. Submit the form to request additional Maker Entry Passes, if needed. Communicate Maker Entry Pass and logistical information with your group members. Maker with Sponsor Subsidy: From time to time, some Makers may receive financial or material support from a company. This support is welcomed; however, there are rules around this level of support. Before you ask to receive sponsorship funds or materials for your Maker exhibit, please inform us by using “Sponsor Subsidy” in your subject line to makers@makerfaire.com as full sponsor disclosure is required. The Maker Faire Portal is a great way to manage your Exhibit Details. You can now view and edit all the answers you have submitted in your application. You can make changes to your exhibit, including the exhibit photo, bio, and description as well as update your electrical needs and tables/chairs. More information and deadlines will be . Signage: We will create a laminated sign for your exhibit and a Maker Faire entry webpage on our website. Each 11×17 inch sign and webpage includes an image, project description, and short bio based on the project proposal you submitted. Internet Connectivity: Wireless service will be provided inside the Expo Hall and in limited areas outside on the grounds. If your project could interfere with our wireless service, please let us know so we can accommodate you and your faire neighbors. In most cases, a hardwire connection will not be available. If you must have a hardwire, notify makers@makerfaire.com asap (end of March at the latest). There is very limited availability and a significant cost for this service. Tables & Chairs: We will provide a table and two chairs, unless otherwise requested in your application. Standard tables are TBD folding banquet tables. We do not provide a cover. Prior to the event, you will receive a confirmation letter listing the equipment we will provide for you. If you need additional items, please use the Maker Faire Portal. Requesting additional tables onsite is based on availability and will cost $10.00 per table. Additional chairs are no charge; but also based on availability. Water: If your exhibit requires water or a forklift/heavy machinery, please fill out the Special Request Form ..
Electrical: If you provided details of your power requirements, we will make certain you have power available at your exhibit area. Please bring your own extension cords, surge protectors and/or power strips for power distribution at your exhibit. On-site power requests cannot be guaranteed. Any excessive power will require approval. Check out this video made by a Maker during Maker Faire Bay Area 2012. Let the world know that you are an official Maker and will be exhibiting at Maker Faire! Maker Faire web banners and badges placed on your website will help spread the word about the upcoming Maker Faire. The Maker Faire Promote page will be . Before Maker Faire, meet us at the San Mateo Event Center to look at the site and ask any questions. More information for the Pre-Event Site Visit is . All Makers and Maker assistants must have their Maker Entry Pass or ticket before arriving onsite. (Passes and tickets can be printed or on your device.) It is important for our advance planning that all participants have entry passes prior to the event. We are no longer able to accommodate additions and Maker Check In. If any problem arises while obtaining your passes, and the issue has not been resolved in advance, come to the Maker Service Center at Gate 8. Purchase general attendee tickets link . . If you have a large, interactive exhibit and require more passes, more information and an opportunity to request more is . Complimentary Friday Tickets – in appreciation of your efforts! Complimentary One-Day Tickets – in appreciation of your efforts! If you need more team members to run your activity, you can submit your request .. If your exhibit is part of a large group of exhibits (i.e. San Francisco Bazaar, Young Makers Program, etc. ), your pass and ticket quantities will vary. Wait for your Maker Newsletter notifying you that your Entry Passes are ready. Log into the Maker Faire Portal. Click on the GET TICKETS button. Choose your tickets from the list available. This will take you to the Maker Ticketing Eventbrite Site. After finishing the Eventbrite process, your passes and tickets will arrive by email. Distribute passes and tickets to your your team. Make sure that you are distributing the actual ticket and not just the Eventbrite order confirmation. It must have a bar code visible which will be scanned at the gates. Print and bring your pass/ticket to Maker Faire. Each pass/ticket can only be used one time. You will receive a wristband in exchange for your Maker Entry Pass. Maker Entry Passes or tickets are necessary FROM THURSDAY THROUGH SUNDAY and can be used at ANY gate. Complimentary and discounted tickets can only be used during show hours. The Maker Ticketing Site is different than the general admission ticket site. One of my assistants changed. How do I change the Maker Entry Pass to the new name? The name on the ticket does not have to match the name of your assistant. If you’ve already sent the e-ticket to your previous helper, ask him/her to forward it to your new assistant. It can only be used once. You do not need to notify us of the change. Do I have to print my pass or can I bring my e-ticket on my phone or tablet? Yes, you can bring your pass on your phone or tablet, but it may be easier and foolproof if you print it out. If you decide to keep them on your phone, please download the Eventbrite attendee app. We welcome your help at the 13th Annual Maker Faire Bay Area. We offer a Maker Faire Traveler Program which helps you understand and support the Maker Movement. By becoming a Maker Traveler you can make a valuable contribution to the success of Maker Faire and enhance the Maker Movement in your community. You will experience the Maker Movement, learn about Maker Faire production and join the Maker Community. There are great benefits to this completing program, including a ticket to Maker Faire and more. Visit the Maker Traveler Program page for more information. There are three major airports nearby: San Francisco International (SFO), Oakland International (OAK), and San Jose International (SJC). San Francisco International (SFO) is the closest to the event center and recommended hotels. What to Pack: The average temperature in the Bay Area this time of year is 74° F, but it can get chilly in the morning and at night. It is best to pack with layers in mind. Please wear comfortable shoes, bring a hat and wear sunscreen. Be sure to bring a jacket for the evening program; Saturday we will be open until 7:00 pm. You may also want to bring rain gear just in case! To assist you, we have provided addresses and directions for various Local Resources near the event site. Solution: This error message is usually due the login for a particular email address originally being set up using either the Facebook or Google authentication method and then proceeding to set up a new login with a user name and password. Try reseting your password and contact makers@makerfaire.com if the problem persists. Solution: We have updated our system and you may need to reset your login information. Please use the Sign Up button rather than the Login or Reset Password buttons.